TOWCESTER TAXI AIRPORT TRANSFERS 01908 263263 RELIABLE ROAD TAXI TRANSPORT: We Still Don’t Know Whether Uber Is a Real Business? We Still Don’t Know Whether Uber Is a Real Business? Put aside questions about whether Uber is overvalued, evil or whatever other clouds exist. I’m talking about simple dollars and cents. 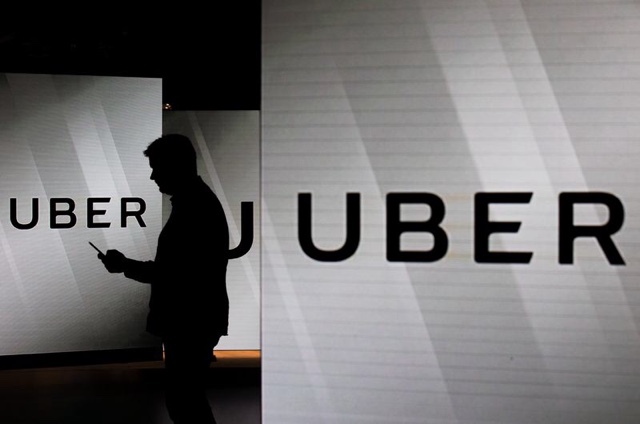 Uber Technologies Inc. has burned through more than $1 billion in cash in the last year, by design, and continues to fund itself with the huge capital pools available for young superstar companies since about 2010. If all that cash from SoftBank, Saudi Arabian oil wealth, conventional tech investment funds -- or even cash from future public stockholders -- unexpectedly dries up, does Uber’s business model work? I don’t know, and almost no one else does either. It’s been said before that Uber has sensibly tailored its business strategy to the financial realities of the last eight or so years of financial markets. Never before has so much money been thrown at promising young technology companies, and for good reason. People with money are desperate to make more money, and private technology companies have been an appealing way to turn $1 into $10 or $100. Uber’s cash has let it become this ambitious, but it’s never been forced to live in a world where it has to operate solely with the cash it generates. The company’s free cash flow -- or cash generated by its operations minus costs for capital projects -- was negative $1.3 billion in the last 12 months, according to Bloomberg News and other media reports on the company’s self-reported, cherry-picked financial figures. 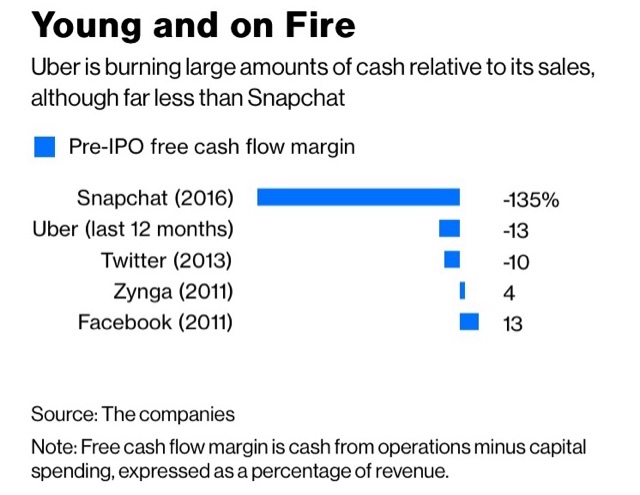 For the sake of comparison to a recent but dramatically different era in technology, Facebook had positive free cash flow for three full years when it filed to go public in 2012. Don’t just listen to me about the importance of companies that can sustain themselves with their own cash flow. Listen to Uber CEO Dara Khosrowshahi. "The most important factor for me," he said at a Fortune conference last month, is "cash flow generation." "I don't want to be dependent on private, public or any markets to fund the business expansion and the extraordinary expansion in front of us," he said. Young tech companies often say they can pare spending or curtail growth investments if they need to fund themselves solely with cash their businesses generate. That sounds great, but it’s remarkable to think we don’t know what Uber’s business looks like -- or if it can even exist -- if the company had to live within its means. To be clear, Uber had billions of dollars of cash on hand as of June 30. It’s not in danger of blowing up. But nothing about Uber is a sure thing. Not its eye-popping valuation, not its ability to withstand competition and regulatory challenges around the world, and certainly not its very viability as a business. .